Second pilgrimage to Amettes from Locre. During the journey I felt our Lord wanted to give me some message through St. Benedict Joseph Labre. No light came while praying in the Church or in the house; but when I went up to his little room and knelt down a voice seemed to whisper “Read what is written on the wall.” I saw these words: “God calls me to an austere life; I must prepare myself to follow the ways of God.” With these words came a sudden light to see how much one gains by every act of sacrifice, that what we give is not lost; but the enjoyment (increased a thousand fold) is only postponed. This filled me with extraordinary consolation which lasted all day. I spent most of the next day wandering around the country, with a visit to the home and shrine of the beggarman saint, Benedict Joseph Labre. 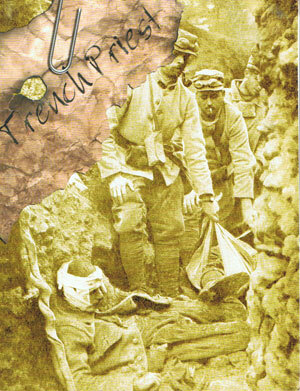 I often think he must be nearly mad with envy watching us in the trenches, surrounded, walked on and sat upon by his ‘pets’. But from the same pets deliver us, O Lord, as speedily as may be, this coming hot weather! 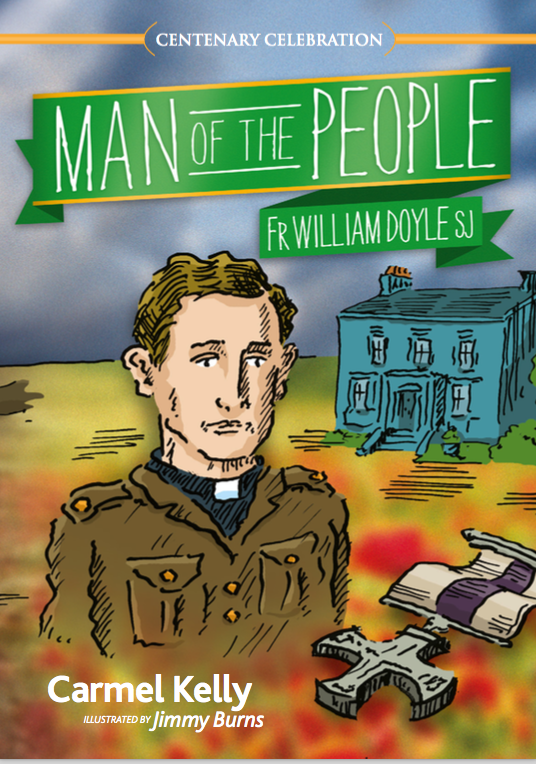 The pets to which Fr Doyle refers are presumably fleas, lice and other creepy crawlies. There are two lessons that we may take from today’s quote and feast. Firstly, the obvious message relates to austerity, a particularly relevant one in this era in which there is much talk of financial austerity. God called both St Benedict Joseph Labre and Fr Doyle to a distinct type of austerity. We can be sure that we are also called to our own particular type of austerity, but this will vary from person to person and will correspond with our state in life. 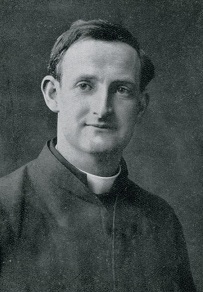 It is almost certainly the case that we are called to a different, and lesser, type of austerity – it would be wrong for someone to attempt to copy Fr Doyle or St Benedict Joseph. But as St Francis de Sales tells us, our cross is made specifically for us, so whatever austerity we are asked to bear, it will stretch us and help to perfect us, even if it is not as objectively severe as serving as a chaplain in the trenches or living homeless on the streets of Rome. However, we must remember that whatever austerity we live with, it should never make us sour or unpleasant. 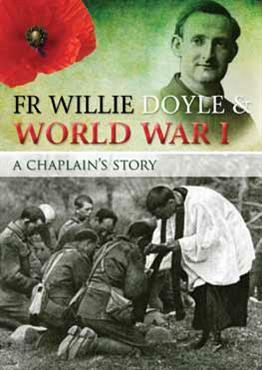 Those who knew Fr Doyle always remarked on his cheerfulness and his good humour – his presence was a source of courage for the soldiers. So too with St Benedict Joseph Labre – despite his dirt and his poverty and austerity, his presence was a source of light to all those whom he encountered. Would that others would say the same of us! The second lesson is that the call to holiness is universal. St Benedict Joseph Labre was a distinctly odd young man. He was certainly intelligent and very well read, but he chose (or felt called to) the life of a tramp. Some people even suggest that he was mentally disturbed, although perhaps that is going a bit too far. 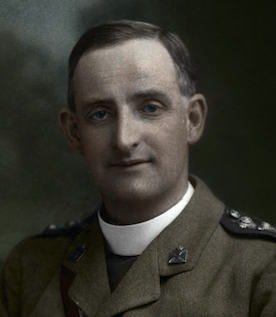 Nonetheless, the point remains that the young man who was not accepted into several monasteries and who wandered the roads of Europe visiting shrines and living homeless in Rome for a decade, far away from his family, was recognised by the Church as a saint worthy of honour and with virtues worthy of imitation. Truly there is wonderful diversity in the Church! 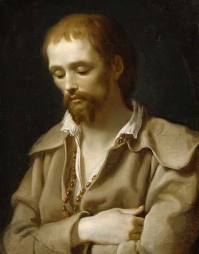 St Benedict Joseph Labre reminds us that everyone, including the poor, are called to be saints, and that those who are materially poor can be spiritually rich. It also reminds us that clericalism or spiritual elitism has no place in the Church. 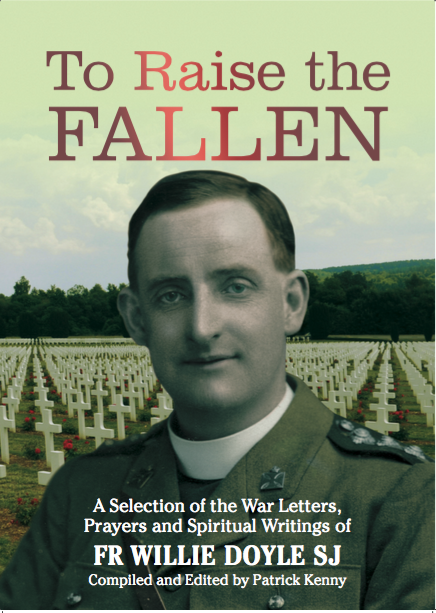 There are those who think that heroism is not for “ordinary” Christians. I’m not sure how that can be reconciled with the life, witness and canonisation of this holy tramp who allegedly had psychological problems. On one of my last visits to Rome I had the great privilege of being able to visit the house where St Benedict Joseph Labre died – he was taken to this house after he collapsed on the steps of a nearby church (he is now buried in that same church). It took some effort to find this spot, but it was worth it. I have had the honour in life of visiting many out-of-the-way places in Rome – the kind of places that don’t always show up in guidebooks. Often these are the best spots in Rome! Out of all of these locations I would consider this particular place to be one of the most beautiful and peaceful I had ever visited. Members of a secular institute now live in this house and they preserve relics associated with St Benedict Joseph with great care. 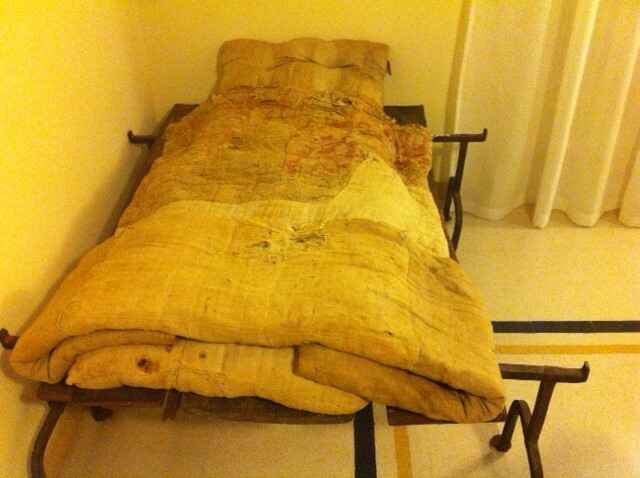 Below is a photo of the bed on which the saint died. After his death, the local children ran through the streets shouting that the saint was dead, and there were many miracles allegedly through his intercession after his death. An American Protestant clergyman called John Thayer was present in Rome when the saint died, and the experience of this holy beggar’s funeral converted him. 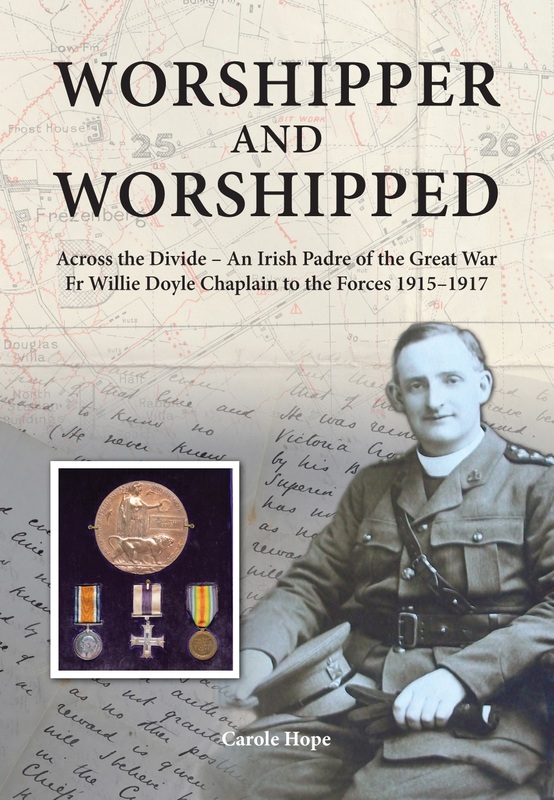 He was ordained a priest and died in Limerick in 1815.